Bad weather isn't something that usually affects poker tournaments but the Midlands Monster was one such rare example, falling victim to January's Arctic conditions. There should be no such problems this weekend as the rescheduled tournament finally takes place. The action gets under way 1pm on Saturday with a prize pool of £20,000 to be won. The buy-in is £100 with one rebuy and one add on allowed. Players will start with stacks of 15,000 chips with a 30-minute clock on day one extending to 45-minutes on day 2. There should be some good cash action on offer too in our own Paul Jackson's Action Jack Cardroom. 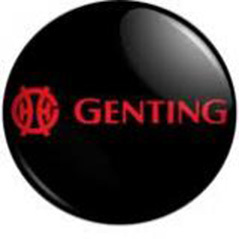 For more information, visit Genting Poker.